List compiled by La Gente intern Elizabeth Garcia. The end of Fall Quarter is here, and this school year we have four weeks to rejoice in Winter Break. Having no exams, papers, or homework to hand in is definitely rewarding after the ten weeks of torture we have endured. However, the pressure to utilize free time during Winter Break as effectively as possible looms. 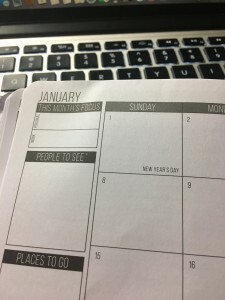 You may feel overwhelmed with all there is to squeeze into your December playbook, but here is a list I compiled filled with fun and festive essentials for how to spend your lengthy break this year. (Prices based on an individual basis). Price: Free. Time: ~3 hours. For many of us, the holiday season signifies the time of the year when we are surrounded by hot plates of delicious, homemade food (hello pozole, tamales, and champurrado and goodbye instant ramen). However, many members of the Los Angeles community face obstacles that do not allow them the same luxuries. Fortunately, several food banks give you the opportunity to volunteer throughout the holidays, allowing you to help fight hunger and make a difference in LA. 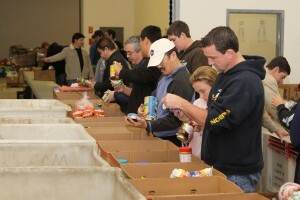 Prospective volunteers can visit lafoodbank.org or westsidefoodbankca.org for dates. Price: $5-10. Time: ~1-2 hours. Horchateria Rio Luna has quickly attracted hungry customers from all over Southern California, after opening in early 2016. 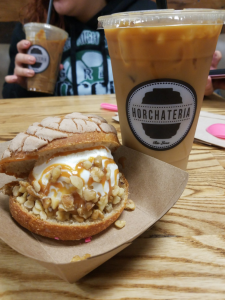 The restaurant offers a variety of sweet pastry choices, like concha ice cream sandwiches and Loteria-themed cookies, and drinks, like Mazapan frappuccinos. It even caters to vegan diets, giving customers the choice between vegan champurrado or churros, or, of course, both. Whether the cold weather has you craving a toasty holiday drink or you simply need a churro fix, this horchateria will allow you to indulge your sweet tooth this December. Price: Free. Time: ~2-24 hours. So everyone is discussing the Gilmore Girls revival and you still have no idea what all the hype is about. Thankfully, you can sit back and relax for the next four weeks to watch that show you have been meaning to get to, or never finished watching. 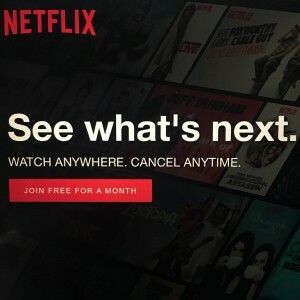 For lazy days in when the temperature drops below 60 degrees (practically freezing) or you feel like saving money, Netflix marathoning is sure to be your favorite activity and an essential part of a worry-free break. Price: $24-28. Time: ~1-2 hours. Perhaps the only expensive item on my Winter Break list is a place that is surely worth its cost: the Enchanted Forest of Lights in Descanso Gardens. 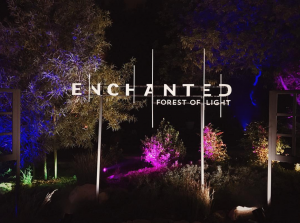 This nighttime adventure features light displays that you view throughout a one-mile walk in a beautiful forest of Pasadena. With several routes to navigate through, the enchanting expedition is sure to leave you in awe of the beauty of both nature and the illuminated trails. (Added bonus: free parking). Price: Free. Time: ~1-2 hours. Physical exercise might make you feel a bit less guilty after eating all of your mom’s, tia/os’, or abuela/os’ enticing (and artery-clogging) home cooking, and thankfully a hike serves more than just this purpose. 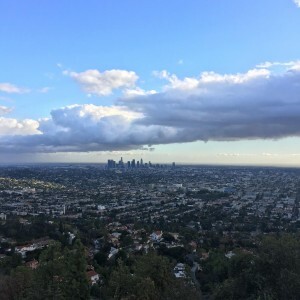 After defeating the hills of a trail like that of Runyon Canyon, Griffith Park, or Eaton Canyon and taking some scenic pictures, a hike can allow you to clear your mind and enjoy a moment of peace away from your phone, social media, or any other preoccupation. Price: Free. Time: ~1-3 hours. Put away the high-waisted shorts and sundresses and bring out the fuzzy knit sweaters that hide in the back of your closet for most of the year. Now that summer finally seems to be over in LA, the ideal time to reintroduce jackets into your wardrobe has come, and there is no better time to rearrange your closet than during break when there are no assignments you would otherwise feel guilty about procrastinating on. 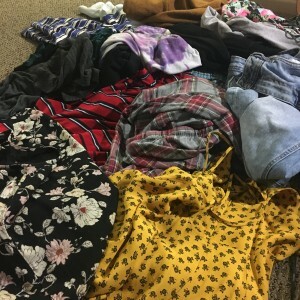 As an added bonus to feeling ultra organized after finishing this process, you can flaunt those forgotten treasures in your clothes piles that can add a bit of extra zest to your wardrobe this winter season. Price: $10-13. Time: ~2-3 hours. Warming up this winter break is easy to do by showing off your skating moves in the ice or skating rink. If you prefer the feeling of a white Christmas, ice skating may be a fun outing in one of many rinks in the LA area, like in Pershing Square or Santa Monica. If you prefer a more retro alternative to this, rollerskating may also be a good option, although many people find it to be slightly more difficult than being on ice. 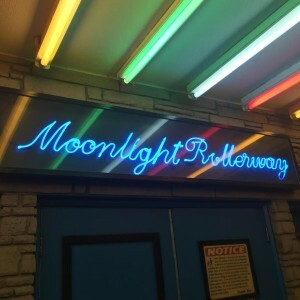 Nonetheless, both ice and roller rinks usually have a fun atmosphere filled with dancing and, if you are like me, clumsy moments, which is perfect for any night out with friends or date night. Price: Free. Time: ~1 hour. Feeling extra festive? 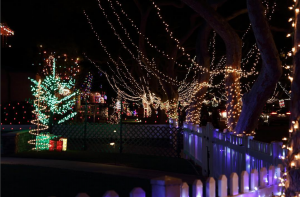 Entertain your holiday spirit throughout the month of December with a stroll through Candy Cane Lane in Woodland Hills. Homeowners in the area take Christmas decorating to new levels each year, and visitors can walk through eight blocks of colorful light arrangements, a sea of inflatable Santa Claus decorations, and candy canes on every lawn. Walking through the displays is free for all, and it is most enjoyable with a few friends or family and a hot chocolate in hand. 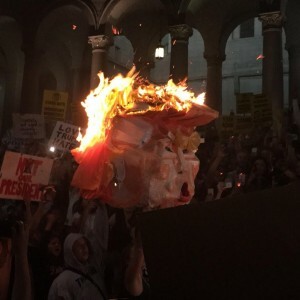 With the Electoral College set to officially vote on December 19th and recent developments in the Dakota Access Pipeline protests, contributing to one of many political movements this break can be effectively done, with many social and political issues in 2016 to contribute to. Actively participating in social justice movements is a significant way that you can spend your break as a student. Being upset about occurrences like the 2016 general election results is understandable, but it is important to make the effort to use these heightened emotions and passion to create change. Actively making a difference is not only cathartic but truly rewarding, whether you are making that difference simply by funding Kickstarter for the ongoing Flint water crisis or protesting in the streets of LA. Perhaps the most essential part of this holiday season for you if you are a student is coming to terms with all of your fall quarter mistakes. Adjusting to a new school year is not always easy, and realizing how this is reflected in your academic performance is important. While you might be disheartened by a letter that will seemingly live on your transcript forever, coming to terms with any slip-ups you might have made this quarter is important for your mental health and continued successes in the future. Ultimately, stressing about your academic past will only ruin the short-lived break you have in an anxiety- and stress-free state, and accepting this fall quarter in its entirety will allow you to enjoy it even more.